Neuroshima Hex is a board game by Portal Games set in the Neuroshima Role Playing Game universe. Big Daddy Creations has produced a digital version for Android ($0.99) and iOS ($4.99). The app version supports 1-4 players (human or ai) in pass and play or online (iOS only) multiplayer. The digital version includes 5 armies, with several more available as in app purchases either separately or in a bundle. 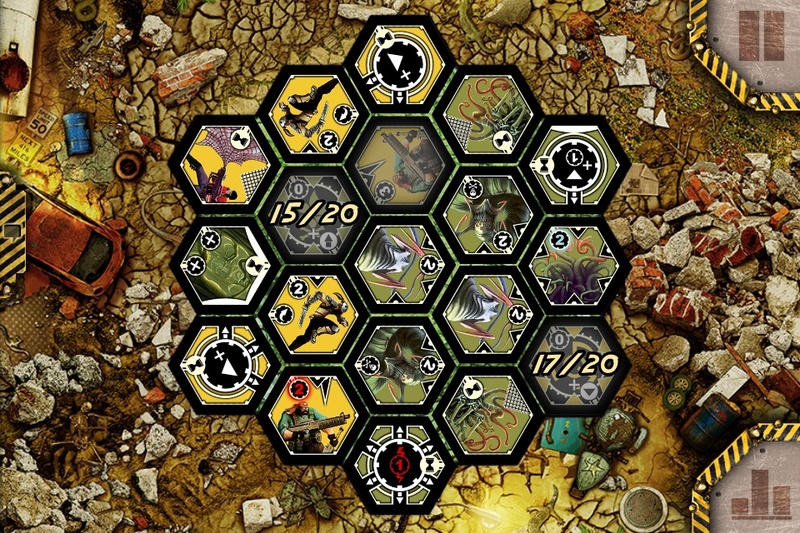 Neuroshima Hex is a unique tactical hexagonal tile placement game. Each player picks an army consisting of 30 tiles. There are three types of tiles; soldier units that do the fighting, module units that buff your soldiers, and action tiles that have an immediate effect or start a battle. In a typical turn a player draws 3 tiles and discards one, then has the option to play the other 2, or retain one or both of them for later use. Players take turns laying tiles until someone plays a battle tile or the board fills up, then a battle takes place. 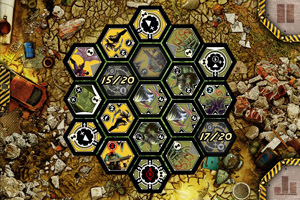 Battles are resolved in order of initiative (highest to lowest), units destroy or damage one another, and damage is calculated for each player's base. The object of the game is to have the highest amount of hit points remaining on your base when the game ends either by destruction of the opponents base(s), or when one of the players runs out of tiles. The game is very strategic, the interactions between the tiles and the tactical spacial element of board positioning make things interesting. Each of the armies is varied in play style yet balanced well against the others, greatly enhancing diversity and re-playability. Rounds typically play out in short bursts of 10-20 minutes making it not too steep of a time commitment. The game might initially appear more complex than it is, but it is very easy to teach and play in practice and quite enjoyable imho. Check out the videos linked below for more information.